ZOA Israel is serving as an organizer, facilitator, and go-to and go-between resource, for pro-Israel advocacy and activism originating in Israel. Nearly a decade since its formation, ZOA Israel continues to advance laws, policies, and practices focused on Israel’s sovereignty and security, and on recognition of Israel’s legitimacy and national rights. Ready access in Israel to public officials, NGO activists and active citizens hailing from multiple continents means numerous opportunities for ZOA Israel to impart the ZOAperspective on the contentious related issues. ZOA Israel also provides information and support services. Israeli cabinet ministers, members of Knesset, members of Congress, and U.S. State and Justice Department bureau chiefs increasingly rely on these, as do many others in government and from local and foreign media. 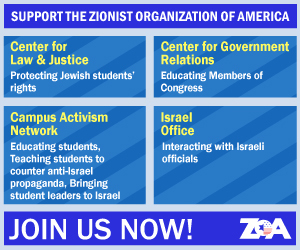 Israel allied groups including ZOA leaders, professionals, members, and students call on us regularly for input and assistance as well. ZOA’s program in Israel emphasizes network building and education to spotlight vital concerns long neglected or underserved by Israel’s leadership, and by mainstream Israel advocacy organizations in turn. ZOA Israel works directly with representatives of the Israeli and U.S. governments, among other collaborations, keeping them apprised of facts and realities on the ground while helping them shape legislation and policy to match. ZOA Israel handles issues in four main areas: Advocating for US-Israeli victims of terror, addressing necessary initiatives related to Har Hazietim and eastern Jerusalem, raising awareness of Arab media incitement, and addressing Israel’s legal grounds in Judea, Samaria, and eastern Jerusalem to ensure accurate messaging within international law. ZOA’s Israel office is run by Jeff Daube. You may reach him at [email protected].